This is Broken Ankle Experience – Part 3 of 5. As mentioned in Part 1 and 2 of this series, I’m sharing my recent experiences dealing with my broken ankle. I hope to provide insight to others who may be dealing with the same situation. Links to my past blogs can be found at the bottom. In this edition, I’m going to share my experiences with actual healing timeframes. I’ll also talk about how to deal with public places such as airports, airplanes, buses, trains, and hotels, while incapacitated. When I left the doctor’s office after my first visit where the cast was put on, I was told that the cast would be removed between 2 to 4 weeks and I could wear a camo boot after that time which would provide additional flexibility. I left the office for an appointment in exactly two weeks. At my cast+2 week appointment, I went in, received x-rays, and saw the physician’s assistant. He told me that the x-rays indicated the bones were still in alignment and healing was underway, and in 2 more weeks, they’d check to see if the bones were still looking good, and if they were, I could probably get the boot put on, so go buy one and bring it. I was a bit disappointed that I was on the longer end of the 2-4 weeks scale, but happy the boot was coming. The boot is basically a hard shell with a soft area that surrounds your skin, with Velcro straps that can be used to adjust the fit. It provides support to the healing ankle but also can be removed easily to allow exercises, air to get to the foot, etc. Before you go to purchase the boot, you should check to determine which health care supply stores will accept your insurance. If you can’t get insurance to cover it, the boot costs about $125. So you can imagine how much I was looking forward to my appointment, which was on a Friday. Imagine my dismay when I received a call that the doctor wasn’t going to be in the office that entire week and I had to wait until the following week. Ugh. Well, I went for my cast+5 week appointment with boot in hand. New x-rays were taken, and the bones still were lined up. I was told that because they didn’t see actual new bone in the x-rays they were a bit hesitant about allowing me to use the boot. They added that as long as I understood it was exactly the same concept as the cast, then they would put the boot on. That meant all I had to do was wear it all the time,keep it dry and not put pressure on my foot. YAY! To remove the cast, a small rotary saw is used. It cuts through the cast and the wrapping underneath, but if it touches your skin it won’t cut you. Trust me, I know. So the cast was removed and the boot was clamped on. I was told I would be allowed to take it off once or twice a day, just to start moving my foot up and down carefully while in a seated position. No pressure allowed! Now, I do need to alert anyone in the same situation that your foot is not going to be pretty. Mine wasn’t. Not only was there no shaving going on for more than 5 weeks, but my toes, my foot, my ankle AND my leg were swollen and mottled looking. Blech. Supposedly this was totally normal, not to worry. In a few days, my foot color was more normal, my leg swelling had retreated, my toes were fine, but my ankle and foot were still swollen.My next appointment was in another two weeks, and I was supposed to bring a sneaker. Tip: try on the sneakers before you go. I could only find one that fit and even that one was tight. Anyway, for the two weeks before my appointment, I followed instructions and put no weight on the foot. I couldn’t imagine how I’d be able to walk out of there since it was still swollen and very tight. So I went to my cast+7 week appointment with some trepidation. What would they say? I wasn’t ready to wear shoes. They told me to continue to wear the boot for three more weeks. After that, I should start putting partial pressure on my foot since the bones looked good. In other words, I was to start walking using my crutches to support my weight, but putting some pressure on my foot with the boot on. I will address how the healing process went from that point on in the next version of this series. Suffice to say, it had been 7 weeks since the cast had been put on; almost 8 weeks since I broke my ankle, and I was NOT waiting 3 more weeks to walk. Airports: If you are using the airport, contact the airport ahead of time to find out how to get a wheelchair and reserve one if necessary. In some airports, you can have a traveling companion wheel the chair, and in others an airport employee must do that. So it saves time to find this out in advance. Also, even if you’re feeling strong, it’s a much better idea to get wheeled. When you get to the security line, you cannot bring the crutches with you through the x-ray device. Instead, you have to hand your crutches to someone to put on the belt, and then you have to hop through the gate on one leg, and then you have to stand, waiting to get your crutches back. Also, there is usually no chair so you can sit down and take the sock off your good foot, which you can’t do if you’re standing up! Also, taking off a coat while standing on one foot is doable, but tricky. So having a wheel chair to take care of those issues is a great idea. If you have connecting flights, make arrangements with the ticket agent at the gate to have a wheelchair waiting for you when you arrive at your next destination. Finding a wheelchair when you arrive in an airport with limited time to get to the next gate is sometimes impossible. Also, in some airports, there is a huge distance to cover to get to the next gate and usually not enough time to get there. Making wheelchair arrangements is critical. Airplanes: At a minimum, make sure you have an aisle seat so you don’t have to try to climb over people. In addition, try to get a seat at the front of the plane. Also, you need to know that you cannot keep your crutches at the seat with you; they need to go in the overhead bins (yes, they fit) or they need to go in one of the closets at the front of the plane. So once you’re seated, someone will need to put the crutches away. One of the issues with planes today is the aisle in the coach section is much too narrow to allow you to use crutches while heading down the aisle. So to get to your seat, you have to do a sort of one-legged hop while trying to grab onto seat backs OR you can use one crutch to sort of do a side-ways hobble. Neither way is very workable. AND if you have to use the rest room in flight, you really can’t. You can try of course, but the best action is to not drink anything until you land. So bottom line tips for airplanes: 1) take advantage of the early boarding for those who need help, 2) try to get an aisle seat in the front of the plane, 3) don’t drink beverages, 4) be prepared to part with your crutches and to wait for them when you land, 5) if you can afford to upgrade to first class, do so – there’s a lot more room and assistance. Buses: I had to board a bus at a few points during my travels. Buses are not all equipped with ramps or lowering steps, so be prepared to have to climb steps. I found the best way to do stairs was to use one crutch and have someone hold the other (or lean it on something). I would grip the railing with the hand opposite the crutch and then keep the crutch on my starting point, place my good foot on the first step, then bring up the crutches. It’s slow going, and then you have to maneuver around people and bags when you get on the bus. Make sure you get a seat. You can’t stand up while moving, so don’t try. Also, wait until everyone gets off the bus before you attempt to do so. Trains: Trains aren’t a big problem, as long as you get on fast enough and have time to find a seat. Trains are preferable to buses. Hotels: Before you arrive, call to make sure the hotel saves an accessible room for you. It should be something that’s either near an elevator or on the ground floor or close to the main entrance. You’re not going to want to do stairs or have to hop a long way to get to the room. Overall travel notes: Don’t worry, give yourself a lot of time, and bring your sense of humor! You have to try not to worry about what other people are thinking about your progress. Don’t worry that you’re going a lot slower than normal. Many people don’t like to be held up; they don’t like to wait for people who are slower than they are. If you are going slow and are starting to feel that there are people behind you (and you can feel those angry fumes! ), pull over to the side and let them all go past. You are not going to be able to move quickly, and that is just the way it is. If you try to go faster than you are able, you’re going to hurt yourself. It’s not worth it. But the really important thing is to keep your sense of humor. Find the funny in this entire situation. This will make the time go faster. You’ll also feel better in general about your inability to do everything the way you’d like to do it. You will be much more tired than normal from doing things that used to be a breeze. You may be somewhat cranky and impatient. Just remember, this will all soon just be a memory! The next edition will cover the healing process. How do you go from a swollen ugly non-working foot to walking around on two unencumbered feet? Does it hurt? What’s required? More soon! I just found you blog and am so thankful I did. I loved reading your slow, realistic progress. I’m so glad you are doing well. Lorrie- It sure is tough not being able to make an income while off your (our) feet! That just makes the entire process even more frustrating. Thanks so much for commenting. The ankle problem is just a memory now, as there is no pain or ache or any other physical reminders! Thank you thank you thank you! I broke a small bone in the back of my ankle last night and i feel utterly hopeless. I am a single mom of 2 children (8 and 3) and i feel unable to be the mother I’m used to being. The pain is literally the worse physical thing i’ve ever been through. Nothing has helped me yet; perks, morphine or oxycodone. How did you deal with the constant pain? Good morning! I’m sorry to hear you just broke a bone in your ankle; especially when you are responsible for your young children. Are you in a cast or brace yet? The pain was a lot better when my ankle was immobilized. What has your doctor said? I don’t have any tips on the pain if medication isn’t working. Hopefully within a few days that will feel better; once you are able to start getting around, you’ll feel better about the mothering aspects also. Hang in there – the next few months might be extremely aggravating, but they will pass and eventually be just a memory! I’ve been loving reading these! I’m sixteen, in school and just got a spiral fracture on my fibula. Having a broken ankle/being in a cast/Using crutches is so much more difficult than one would imagine it to be. I definitely feel less alone. Samantha- Thank you so much for writing, and I’m glad this is helpful! You are NOT alone!!! It can be depressing not being able to do all your normal activities but before you know it, you will be back to normal. Hang in there! Thanks for writing, airshaki! You have a great attitude about your “adventure”, and wow, I couldn’t even imagine trying to take care of a toddler while on crutches!!! Best of luck, and I’ll have to check out your blog as well. Please tell me how to find your blog. I have a 3 yr old and i so miss carrying her already…and i just broke my ankle LAST NIGHT lol. I can totally relate to you after reading your experience! I broke my ankle 38 days ago, distal fibula, while hiking with my boys. I actually had to walk out if the trail on the broken bone. I was 16 days in a soft splint with crutches and then put into a fiberglass cast. The ortho offered me 2 options : Wait 1 more week and then he would rebreak my ankle and do surgery to put a pin it it or put a cast on it that saying went with the cast! I live in a 2 story house so I would scoot on my bottom up and down the stairs. I would use a walker upstairs and crutches as needed down stairs. Since we have a tile floor downstairs, I was able to get around on one of those office roller chairs! This allowed me took cook but I was still limited! My appt should have been for today and like you, my appt had to be rescheduled because my ortho would be gone all this week! Ugh! My new appt is for May 15 and I cannot wait because this cast is so uncomfortable and I am not used to being so inactive. I actually lost weight but this is probably because I couldn’t go up and down the stairs to eat as frequently as I could before my ankle break! Danica- Oh my, it is SOOO frustrating to be all set mentally for an appointment and they RESCHEDULE IT! I totally relate – so now you have a 10 day wait. I’m thinking of you!!! That must have been so painful walking out of the woods; yikes. Best wishes during the next 10 days in staying patient! Hi, I have just joined this exclusive club of broken ankles. I took the dogs out late one evening and one shot off with me in tow, tripped over and fell on my right ankle and shattered it in three places. That was the 17th of October, operated on the next day and now the proud owner of 8 screws and a plate. I have tp say that losing my independence is almost as bad as the break. Does anyone know how long it will take me to get back to driving? Also I have been put back together with staples which are being taken out this coming Wednesday, any thoughts? Can’t wait for the boot to be fitted and to be back only feet and running again. At least your sense of humor is intact!! As I read what happened, I grimaced and said, OWWWW. As for driving, I wasn’t able to drive again (it was my right ankle also) until a week or two after the actual cast was off – it was at least 2 1/2 months after I broke it. I don’t remember the exact time frame but that was the first thing I did once I could put full weight on the foot – I got myself to the car and pressed the pedals. I wasn’t willing to try driving the first day or two, but then I did. Being on my own and out of the house was FABULOUS. Hang in there and before you know it, you’ll be back to driving and walking and running. I totally get it. It can definitely be frustrating and depressing when you can’t do what you normally can, especially when it seems to take so long to get better and progress is so slow. It definitely can hurt and you can be swollen in the early post-cast days. Hang in there. Little by little you will see improvements and then the day will come where you realize you didn’t even really notice your ankle all day! I am 60 years old and over weight due to a back injury. I live on a farm and helped my husband do odd jobs. I was helping my husband and stepped on a wheel of a cart but the wheel rolled and my foot rolled with it. I broke my fibula and tibia. I had surgery aND received a bar with 6 screws, 2 large screws holding the fibia with the tibula and a screw to hold the tip on the tibia. Two weeks after my surgery, I had a cast and 2 more weeks I had a soft cast. The doctor will see me again in a month. I was wondered if I am able to leave my cast off for long periods of time. Well always best to check with your doctor. I am in my 60’s and broke my ankle in three places, now screwed and plated back together. After I had my cast off I was in an air cast for about two months. I was told to take it off at night but also to use pillows to keep my ankle stable. I injured my ankle on the 17th of October 2014, and now am back to almost full mobility. It seems to take forever but you will get there, think the worst part is just the sheer frustration of waiting. Hope this is of some help. I agree with Dawn that asking your doctor is definitely step one. 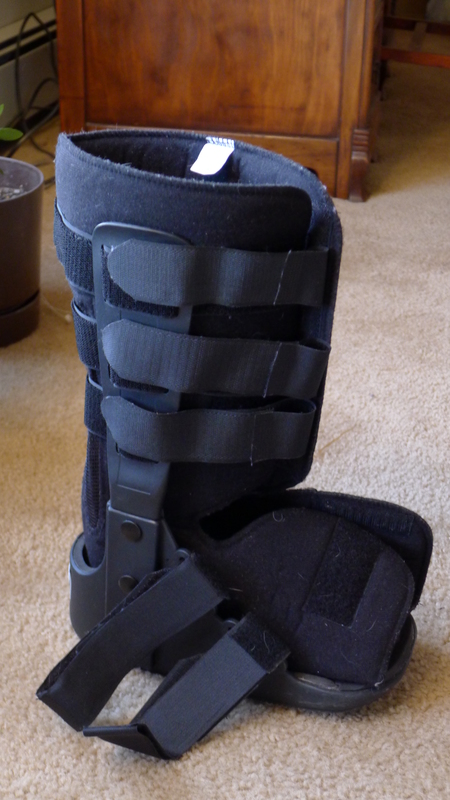 When I had the boot, they told me to treat it just like the cast at first (no pressure, etc). They wanted to make sure it was healed properly. So it really depends on how far along you are in the bone healing process. When I read what happened with the wheel of the cart, I could just picture that and said “Ow!” Best wishes with your healing. Thank you for your note! It is so hard to be unable to do what we normally do when dealing with a broken ankle (or any broken bones). Just know that eventually you will heal and will be able to return to “normal”! Hi !! Broke my ankle Feb 20, was suppose to fly to Thailand the next month and postponed the trip until July 1. Air cast came off two weeks ago. 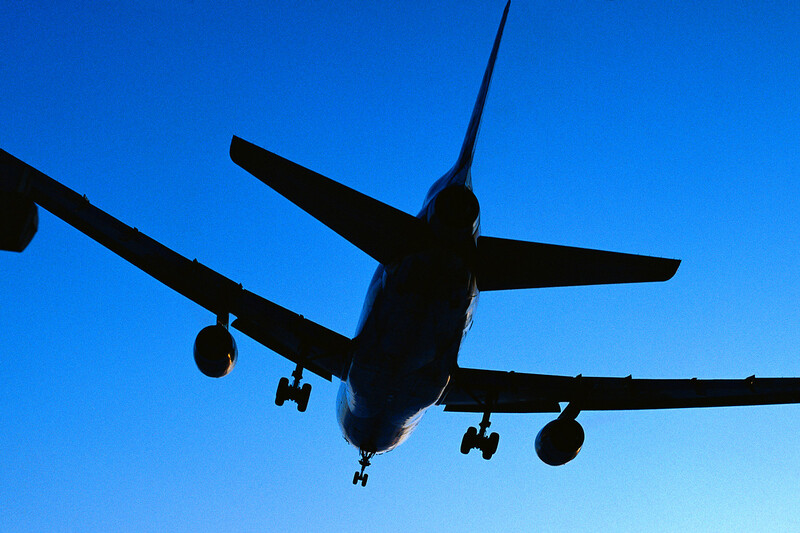 Any advice for air travel. Have pins, screws and a plate and my ankle swells up like a football. Sitting in business so I can elevate my leg…some said a support hose? I didn’t have a lot of luck with the support hose – just lots of icing and raising my foot to get rid of the swelling. Is Thailand for fun? If so, I’d say, just go and enjoy yourself and put in lots of time for resting. Let me know how you do! I know someone who went to Thailand on vacation and absolutely loved it. It is amazing what our body does all by itself. If you can get through this without surgery, I would definitely recommend that, and I think you did a great thing by doing what you felt comfortable with. Definitely keep us posted, and best wishes with your continued improvement!!!!! The doctor gave me the okay to start walking, but it sure is difficult. Hardest thing I’ve ever had to go through physically. More activity will lead to faster healing though, so I am doing my best to really push myself, but within a safe range. At this point, things are much more difficult than they were while I was non-weight bearing and cruising around on a knee scooter. Speaking of which, the knee scooter is highly recommended, especially one with 12″ wheels like I had. I was back at work, 75% of full time or so 2 weeks after my injury. The knee scooter made all the difference, and was one of the best purchases I’ve ever made. I even used it for travel, and the little time I spent on crutches at the connecting airport was one of the worst experiences ever. I wish I wouldn’t have been so arrogant about and just taken the dang wheelchair, but as a strapping young 27 year old, I really thought it would be okay. I resold my scooter at a loss of $80, but it would’ve cost me $160 to rent a far inferior one so the money was well spent. I could have gotten $30 or more extra, but it was nice to give a little help to the next guy and not be greedy. I highly recommend that anyone that might read this buy and resell one rather than renting. The rental shops have a horrible money-making scheme, as the scooters they sell pay for themselves in one month’s time. Anyways, I could talk all day on here, as you all know it can be very boring, so lately I’ve found myself on random forums giving out 2 cents like I have a dollar. I just wanted to share my scooter info as it could be helpful. Lastly, with my large wooden walking stick I look like a madman, hunched over with a horrible limp. It is fun and depressing at the same time. It forces me to push myself as using a walker is all too easy. I really can’t wait to walk normally again, but it will be several weeks, if not months, at the rate I’m going. Hope someone finds my scooter recommendation helpful and I do recommend a walking stick for a bit of fun and to help build strength quicker, of course, if your doctor agrees. I even cast a spell on my boss with it, but he was not amused. Best of luck everyone. forgive the spelling and grammar, it’s difficult to type in the position I’m in! Thanks for reading. Thank you so much for your input! A few people have recommended the scooter, and your feedback should seal the deal for anyone considering one! I would have purchased one also had I known about them at the time – crutches in the airport was indeed horrible. Best wishes with your healing!